2 in 5 Households Approaching Retirement have No Retirement Savings. 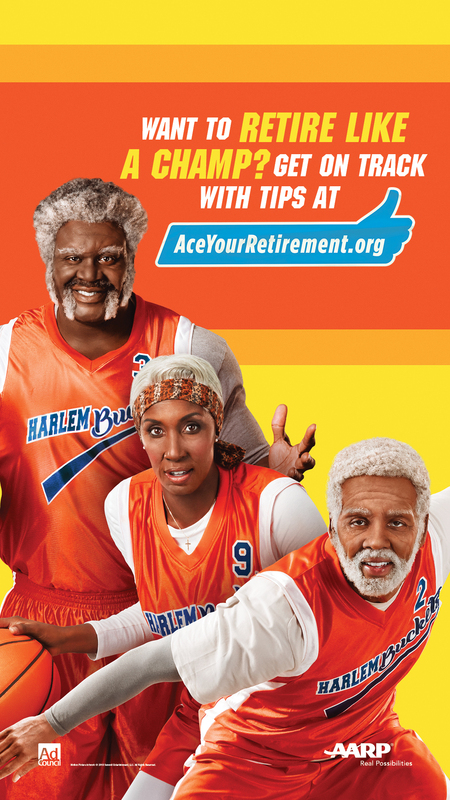 AARP, the Ad Council and Lionsgate’s Uncle Drew Join Forces to Help with AceYourRetirement.org. 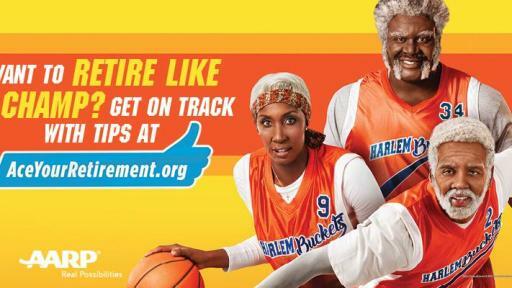 NEW YORK, NY, and SANTA MONICA, CA, May 30, 2018 — To help address America’s retirement savings shortfall, AARP and the Ad Council have joined forces with global content leader Lionsgate (NYSE: LFG.A, LGF.B) to create a new public service advertisement (PSA) featuring characters and footage from the highly-anticipated film Uncle Drew from Lionsgate’s Summit Entertainment label. Uncle Drew, in theaters June 29, tells the story of an iconic 75-year-old streetball legend, played by basketball superstar Kyrie Irving, who is known for his amazing handles and ability to get to the rim. 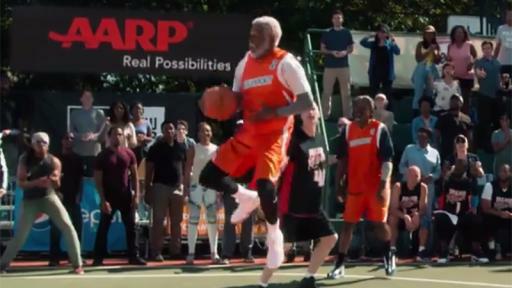 The PSA reminds viewers that just like Uncle Drew aces his basketball game, they have what it takes to start acing retirement. The new PSAs will run in donated time and space, per the Ad Council’s model. They are available in TV, outdoor and print formats nationwide. 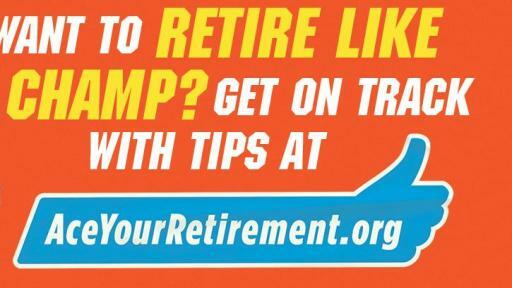 For your personalized retirement savings action plan, visit AceYourRetirement.org. 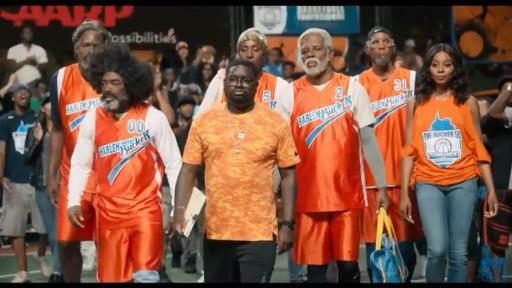 After draining his life savings to enter a team in the Rucker Classic street ball tournament in Harlem, Dax (Lil Rel Howery) is dealt a series of unfortunate setbacks, including losing his team to his longtime rival (Nick Kroll). Desperate to win the tournament and the cash prize, Dax stumbles upon the man, the myth, the legend UNCLE DREW (NBA All-Star Kyrie Irving) and convinces him to return to the court one more time. The two men embark on a road trip to round up Drew’s old basketball squad (Shaquille O’Neal, Chris Webber, Reggie Miller, Nate Robinson, and Lisa Leslie) and prove that a group of seniors can still win the big one. A LIONSGATE’S SUMMIT ENTERTAINMENT Release. Produced by Temple Hill in association with Pepsi Productions. In theaters nationwide June 29, 2018.